Integral Calculus is the part of calculus that deals with integration and its application in the solution of differential equations and in determining areas or volumes etc. It involves problems like solution of area and volume. 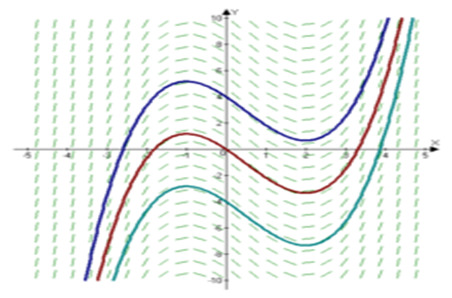 In the figure given above, integral calculus may be used to find out the area between the two curves F1 and F2. It would not be an exaggeration if we call Calculus to be the castle of Mathematics and its most important part is the integral calculus. The topic is quite scoring and has a good weightage in exams like IIT JEE, AIEEE etc. but it can be mastered only through constant practice. Definite integrals and Indefinite integrals are the major tools which are used for applications under the topic of Area. Calculation of area is considered a hard topic but since it fetches many questions in JEE so it must be given due importance. where c is an arbitrary constant. Indefinite integrals are also called Antiderivatives. For more information on questions, refer the papers of previous years. The limits on any definite integral can be interchanged. You just need to add a minus sign on the integral while doing so. When the upper and lower limits coincide, the value of the integral is zero. (3) , where c is any number. A constant can be taken out of the integral sign in case of both definite and indefinite integral. A definite integral can be broken into parts across a sum or difference. (5)  where c is any number. This property tells us how to integrate a function over adjacent intervals, [a,c] and [c,b]. Note that it is not necessary for c to be between a and b. This property shows that as long as the function and limits are same, the variable used for integration does not make any difference. Illustration 1: Let f(x) = x/(1+xn)1/n for n ≥ 2 and g(x) = (fofofofof… n times) (x). Then find the value of ∫xn-2 g(x) dx. Hence, I = [(1+ nxn)1-1/n ]/ n(n-1) + K.
Illustration 3: Evaluate ∫ (x +1)/ x(1+xex)2 dx. Most of the students are weak in Integral calculus but this weakness must be converted into strength with regular practice. 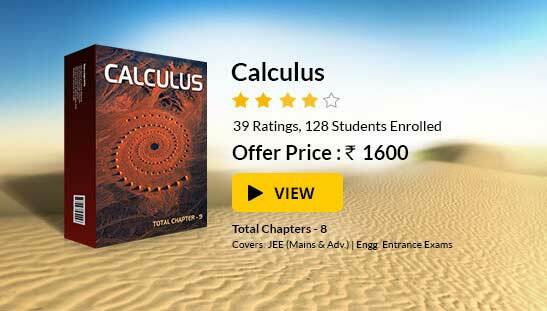 All the high rank holders in JEE have their expertise in Integral calculus.